VIENNA - The U.N. nuclear watchdog’s 35-nation Board of Governors on Wednesday backed the agency’s chief, Yukiya Amano, for a third term as director general after he ran unopposed on a platform of continuity in dealing with issues like Iran’s nuclear programme. 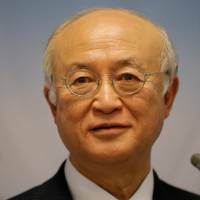 Amano, a 69-year-old career diplomat from Japan, has headed the International Atomic Energy Agency (IAEA) since 2009, a period that included the run-up to Iran’s nuclear agreement with major powers in 2015 and the aftermath of the Fukushima No. 1 meltdown disaster in 2011. The Board of Governors’ decision to reappoint Amano took place without a vote, meaning no country expressed opposition. It must be confirmed by a meeting of all IAEA member states in September, which is widely seen as a formality. “The United States is pleased to join the consensus decision of the board in endorsing Yukiya Amano to serve as director general for the term beginning December 1, 2017,” the U.S. statement to the closed-door meeting said. Since most countries had backed Amano long before the board meeting, one of the few open questions had been where the United States stood, since it had yet to express a view publicly. “This decision by acclamation clearly demonstrates the board’s appreciation for the director general’s leadership during some of the agency’s most significant challenges, including coordination of the international response to the Fukushima Daiichi accident,” the U.S. statement added. When he was first elected, Amano was backed by Western powers seeking a more like-minded successor to Mohamed ElBaradei, who clashed with U.S. officials over Iran and was accused by the administration of George W. Bush of being too soft on Tehran. ElBaradei was jointly awarded the Nobel Peace Prize with the IAEA in 2005, two years after the U.S.-led invasion of Iraq. Striking a deliberate contrast with ElBaradei’s more political style, Amano often emphasizes the technical nature of the agency’s work, which includes policing the restrictions on Iran’s nuclear activities imposed by Tehran’s deal with major powers, which also lifts economic sanctions against Iran. He has called the Iran deal “a net gain” and discussed it with U.S. Secretary of State Rex Tillerson last week, but neither side said what view Tillerson had expressed. U.S. President Donald Trump has called it “the worst deal ever negotiated. 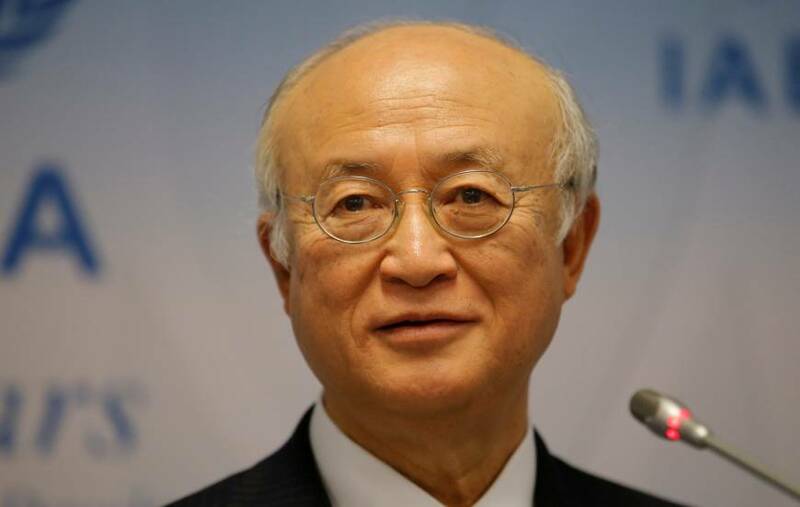 “We will continue to carefully monitor and verify Iran’s implementation of its nuclear-related commitments,” Amano said in a statement to reporters after the board’s decision to reappoint him. “I am deeply honoured by this consensus decision,” he said.